Canada’s new defense policy, Strong, Secure, Engaged is undeniably a well-crafted document and comes after months of hard work by military and civilian officials in Canada’s Department of National Defense and elsewhere in government. It’s also the product of a comprehensive public consultation process, begun in April 2016 that brought together thousands of Canadians to discuss Canada’s place in the world and what kind of military the country should have. Strong, Secure, Engaged is also the product of a military leadership sharpened by shared experiences in Afghanistan and more recently in and around the Middle East. Importantly, it comes at a time when the developed world continues to be faced with failed and fragile states often too complex to fix, but also far too unpredictable to be left alone. As Canada’s Foreign Minister Chrystia Freeland recently said in the House of Commons, Canada is “connected to – and affected by – everything that happens internationally, and we want to be part of solutions to complex global challenges.” Evidently, the decision to extend Canada’s mission in Iraq until March 2019 is confirmation the government is serious. The new defense policy, at 113 pages is obviously designed to serve many purposes – part educational for the public, part recruiting tool with an important nod to diversity, women and Canada’s indigenous community, part retention tool, part nod to cyber warriors and part message to the United States, NATO, the United Nations, Russia and others that Canada is taking its domestic, continental and international defense obligations seriously. All combined, it’s very good news. In the meantime, Strong, Secure, Engaged has given Canada something it will be argued here, often talked about but never realized so far: consistency when it comes to its future defense plans. Consistency because Strong, Secure, Engaged is very much a synthesis of former Liberal defense minister Bill Graham’s 2005 defense section of the short-lived, International Policy Statement and former Conservative defense minister Peter Mackay’s 2008 Canada First Defense Strategy (CFDS). And given the foreseeable global security situation, it is hard to imagine why any future Canadian government would seriously consider departing from it. As will also be discussed, Strong, Secure, Engaged is much more than just a defense policy. It is, intentionally or not, very much a broad statement of Canada’s foreign policy. That’s why the Canadian government likely determined it was important for Canada’s Minister of Foreign Affairs to deliver a foreign policy speech in the House of Commons on 6 June 2017, the day before the defense policy was released. The idea of a Graham-MacKay-Sajjan defense policy synthesis at first glance may seem quite farfetched. But if we consider that Bill Graham was a member of current Defense Minister Harjit Sajjan’s defense policy advisory panel, perhaps not so farfetched after all. However, there is much more to it than that. In 2005, Canada’s Liberal government released their new defense policy. There was new money for defense, a growing and important role in Afghanistan and the Navy actually owned 15 surface combatants back then. The government and military had also adopted an expeditionary mindset typified by then Chief of the Defense Staff, General Rick Hillier’s plan for a Standing Contingency Task Force (SCTF) that would be transported to global hotspots via a “big honking ship.” This expeditionary mindset was made very clear in the hard numbers provided in the policy. For example, from a Land Force (Army) perspective, Canada would be ready to sustain overseas, for an indefinite period, two task forces of approximately 1,200 personnel potentially in different theatres of operation. A third task force of approximately 1,000 personnel would be available to deploy for a six-month period at the same time. In comparison, Strong, Secure, Engaged coming 12 years after the 2005 defense policy states, for similar large scale deployments, that in future the Land Force will be able to sustain two deployments of between 500-1500 personnel in two different theatres of operation and an additional deployment of between 500-1500 personnel for 6-9 months. There is little difference really to what was stated in the 2005 defense policy. In fact, the 2005 defense policy went considerably further when it came to specifying the military capabilities defense was required to establish, deploy and sustain. For example, the Air Force was told that they would need to provide an Air Expeditionary Unit (AEU) for up to six months comprised of up to two Aurora maritime patrol aircraft and up to six maritime helicopters for deployment with a naval task group, and up to six medium-to heavy-lift helicopters to support land operations. There was also a requirement to sustain indefinitely overseas another AEU of up to six medium-to heavy-lift helicopters while also being able to deploy for up to six months an AEU consisting of one Airbus configured for air-to-air refueling and six CF-18 aircraft for air-to-ground missions. All-in-all very specific outputs for the Air Force, for which there is no equivalent in Strong, Secure, Engaged. On the other hand, and with Canada’s recent operational deployments in mind, obviously, these tasks are still very much extant. However, Bill Graham’s 2005 defense policy did not last for very long. It all came crashing down on 23 January 2006, when the Conservatives won the 39th general election and Prime Minister Stephen Harper entered office with his “Canada First” theme. In real terms this meant that the SCTF, the hallmark of a new expeditionary focus, died. In its place, the government defense platform called for a decidedly domestic focus with the acquisition, for example, of three armed icebreakers and the formation of rapid reaction army battalions composed of 650 Regular Force personnel that would be stationed in Comox, Trenton, Bagotville, and Goose Bay. In due course, most of Harper’s “Canada First” campaign ideas never made their way into the final version of Peter MacKay’s 2008 defense policy and the military continued to be engaged in many overseas missions. And when the CFDS was finally published it was actually quite vague – gone were the hard troop-to-task figures on offer in the 2005 policy. All the new policy would say was that Canada would be ready to “lead and/or conduct a major international operation for an extended period.” The good news was that the CFDS did commit the government to acquiring 15 new surface combatants, six to eight Arctic Offshore Patrol Ships and 65 “next-generation” aircraft. The new policy also predicted the defense budget would reach almost $30 billion in 2026-27. And there was a promise to invest $490 billion in defense over 20 years, grow the Regular Force to 70,000 personnel, the Reserves to 30,000 and the civilian workforce to 25,000. As its conclusion made clear, the CFDS was a “20-year plan to rebuild the Forces, supported by an unprecedented long-term, predictable funding framework.” However, the 2008 defense policy was no match for a $55.6 billion-dollar federal deficit in 2009-2010 and a $33.4 billion shortfall that came after. The result was that much in Canada’s defense world, especially when it came to procurement, came to a grinding halt. 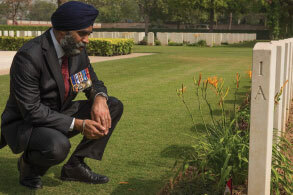 Harjit Sajjan’s Strong, Secure, Engaged, nine years on, promises much of what was promised, but not delivered, in the CFDS. The government, similar to its predecessor, committed to acquiring 15 new surface combatants, five to six Arctic Offshore Patrol Ships but increased the number of “advanced fighter” aircraft required to 88. As for personnel numbers, the Regular Force, it was announced, would grow to 71,500 personnel, the Reserves to 30,000 and the civilian workforce to 25,000. The defense budget, the government added, would also climb to $ 32.7 billion in 2026-27 and overall defense investment would equal $553 billion over 20 years. In 2008, it was predicted the defense budget would reach almost $ 30 billion in 2026-27. In comparison, the new defense policy predicts a budget of $32.7 billion by then. But to be fair, the new defense policy adds in 1,500 Regular Force personnel who need to be paid and 23 additional fighter jets are a major expense. It appears, then, that those costing the defense budget back in 2008 probably didn’t do a bad job after all. And this is a good sign because it demonstrates a degree of budgetary consistency at play. There are more, not unsurprisingly, comparisons between the 2005, 2008 and 2017 defense policies. All have very similar global and domestic security assessments, mission sets, offer stable and predictable funding, lament the size and poor condition of the military’s infrastructure, speak to the importance of technology and innovation and the need to work closely with Canada’s defense industry. 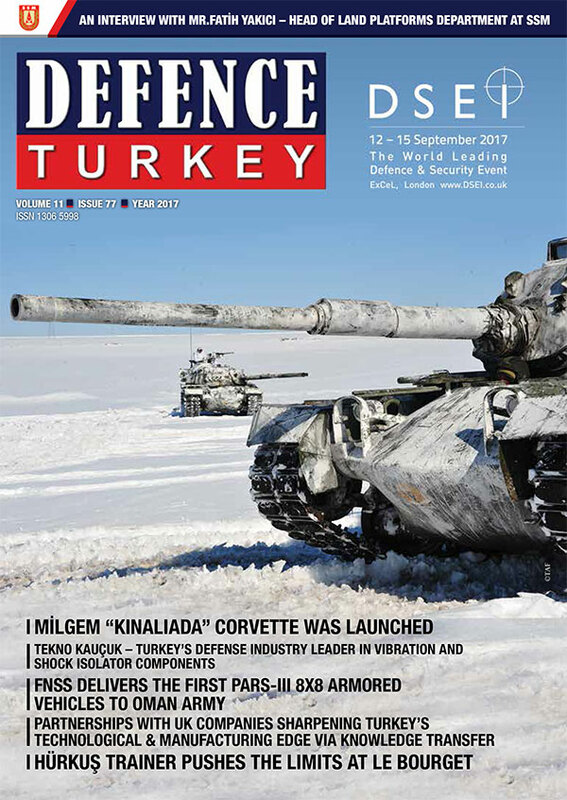 In keeping with the 2017 defense policy, the 2005 policy also included small sections on arms control, defense diplomacy and foreign military assistance. However, in terms of overall breadth the 2005 and 2008 defense policies, at 32 and 21 pages respectively, are certainly no match for 2017’s Strong, Secure, Engaged. But the important point, regarding the matter of defense policy synthesis, is that the military capabilities required to meet Canada’s defense obligations, in each of the three defense policies, are indeed very similar. Strong – Secure – Engaged: Defense Policy, and Foreign Policy? Canada’s new defense policy contains a hefty amount of foreign policy and likely evolved this way as the draft moved across multiple departments. In fact, Strong, Secure, Engaged could easily pass for the title of a foreign policy. It is why the Canadian government likely determined it had to deliver a foreign policy speech in the House of Commons the day before the defense policy was released in order to ensure the correct “policy order of march” was respected. It is why Strong, Secure, Engaged also has a message from the Minister of Foreign Affairs inside. In the new defense policy Canada’s strategic interests and values are clearly laid out. We are told that “global stability, the primacy of the rules-based international order, and the principle of collective defense” underpin Canada’s strategic interests of maintaining and improving security and prosperity. Next come “core” values of inclusion, compassion, accountable governance and respect for diversity and human rights. Canada will continue to collaborate internationally with the United States, consistent with Canadian interests and values, engaging in complementary activities that contribute to stability abroad, which in turn helps maintain security at home. Canada’s policy with respect to participation in ballistic missile defense has not changed. Canada will nurture its close relationships with the United Kingdom and France while seeking opportunities to further develop them. Acknowledging rising international interest in the Arctic, Canada must enhance its ability to operate in the North and work closely with allies and partners. Canada will seek to develop a stronger relationship with China. Canada will engage with emerging powers, particularly in the Asia-Pacific region. Canada will establish meaningful strategic dialogues with key regional powers in the Asia-Pacific region to exchange views on regional security issues and threats to regional stability. Canada will increase its engagement with the Association of Southeast Asian Nations. Canada will work closely with long-standing partners, Australia, New Zealand, and the United States on Asia-Pacific security issues. North Korea poses a serious and increasing threat to both regional stability and international peace and security. Canada will continue to contribute to regional peace and stability in the Middle East, along with countering the proliferation of weapons of mass destruction and reducing the threat of terrorism. Canada will contribute to peace and security in Africa through re-engaging in United Nations peace operations, providing training, supporting development and empowering women and girls. Our approach to Africa will seek to make tangible contributions to the stability necessary to advance the United Nations’ Sustainable Development Goals and create the conditions for peace. Canada will reinforce its export controls and help strengthen international controls on conventional arms by joining the Arms Trade Treaty. Canada will promote the peaceful use of space and provide leadership in shaping international norms for responsible behavior in space. As part of a feminist approach to international policy, Canada is committed to working with the United Nations to end conflict-related sexual violence and the use of child soldiers. Recognizing the devastating effects of climate change, Canada must bolster its ability to respond to severe weather events and other natural disasters, both at home and abroad. Canada must address the threat stemming from terrorism and the actions of violent extremist organizations, including in ungoverned spaces. The above foreign policy goals may seem a tall order to fill, but Canada is not a minor international player. Economically, according to the World Bank, Canada has the 10th largest economy in the world based on 2015 GDP data and higher than Russia in 12th place. As for its defense budget Canada, according to the Stockholm International Peace Research Institute, has the 16th highest level of expenditure in the world. While this means 15 countries spend more on defense, many have no choice given regional factors and immediate threats – this would include countries such as Israel, Saudi Arabia, the United Arab Emirates and South Korea. The so-called “Great Powers” come with their own political and defense related baggage. The net result is that only a few countries, such as Canada, are in the unique position of being able to deploy highly trained, professional, well-equipped people, defense and otherwise, where and when needed with the minimum of fuss. Whatever one may say about the new defense policy, it took great political courage by Prime Minister Justin Trudeau to agree to publish Strong, Secure, Engaged especially given Canada’s current deficit situation. Defense expenditures seldom translate into votes come election time as politicians and seasoned defense observers well know. Signing on to a more active international role can also be politically risky. It’s also important to acknowledge that in between the launch of Canada’s defense policy public consultation process in early April 2016 and the release of Strong, Secure, Engaged on 7 June 2017, Donald Trump became President of the United States. Back in April 2016, well before the Republican primaries had wrapped up, few thought Trump might one day be President of the United States. Of course, no one in the Canadian government would ever publically admit that Trump’s presence in the White House had any impact on the final version of Strong, Secure, Engaged. But it had to be a factor in the end. On the day Strong, Secure, Engaged was released much of the good news was overtaken by the issue of where the money would come from to pay for everything? It was a question the Minister of Defense and the Minister of Transport seemed unable or unwilling to answer even though they were asked at least five times by journalists. We do know that prior to the defense review the defense budget was predicted to be $ 23.14 billion by 2027-28. Now the forecast is $33.4 billion. Was the additional defense requirement for just over $10 billion in 2027-28 captured in the Canadian government’s December 2016 Update of Long-Term Economic and Fiscal Projections? It’s not clear but the fiscal projection for 2027-28 already shows an approximate $ 25 billion deficit. Will this now be $ 35 billion?